Sweetie ble N Uch på Kongsberg i dag. / Sweetie becane N Uch today. Vi har hatt en flott dag på Kongsberg. Æra Av Falchebo, Sweetie, ble N Uch og BIM. Bir ble Ch Alvolin's Baccus. Gratulerer! We have had a nice day at Kongsberg dogshow. 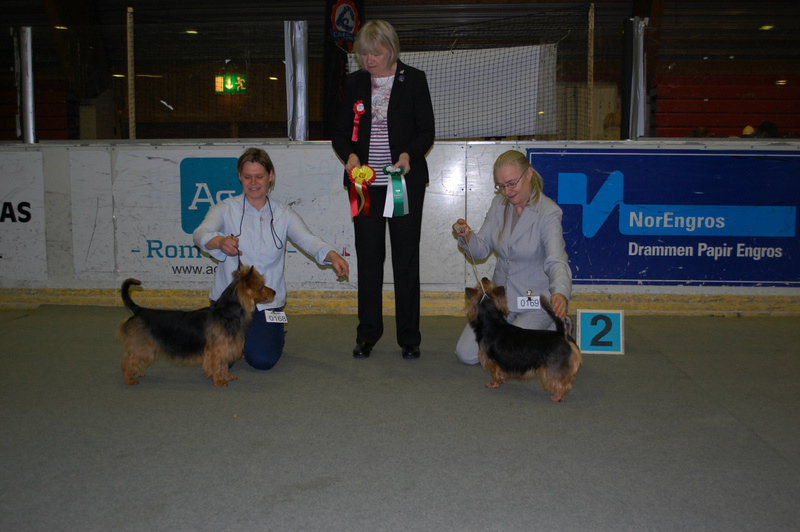 Æra Av Falchebo 'Sweetie' became Norwegian champion today. She was also BOS. BOB was Ch. Alvolin's Baccus 'Bingo'. Congrats!